Infant Entry Timings in Tirumala & NRI people Timings in Tirumala. Infant people means, those people who is having below 1 year baby they can go with this Supadham Entrance. And the timings are every morning at 08:00Am onwards up to 01:30pm they can go with this entrance. Its a free of cost in this entry, Mother, Father and the Baby can go for darshan with free of cost. Bring the birth certificate and the original Id proof of the parents has to be bring at the time of darshan. Nri people can go with this Supadham Entrance with the help of there passport and valid visa. Don't require the xerox copy of the passport and visa. And the timings are every morning in 12:00Pm onwards up to evening 5:00pm they can go with this entrance. They have to pay Rs.300/- there in the counter itself. Note:- Below 12 years children don't need any ticket, they can accompany with there parents. Birth Certificate of the baby and original ID proof of parents required. can we just carry the driver's license or any other government issued ID as proof of NRI, instead of carrying the passsport? how long does it takes for Dharshan for NRI? I also looking at response for same query quoted from Sridhar.. my trip only in ind for 3days. anyone experienced and respond to the query will be greatly appreciated..
Is there any advanced registration/ booking required to go via Supadham. Infant means only below < 1 year kids only permitted. If u book any seva ticket, all the people can go with this entry. Hi, I have infant of 4 months? I have following queires. 1. Does they need any Date of birth certificate to be shown? 3. Does there any ticket to be taken to go as infant or just join the queue directly? I remember from my last visit to Tirupathi, that the NRI timings were different for different days of the week. Is that still true, or has the timing been fixed? I recently got my VISA and planning to visit tirumala before i go to USA. Can i still show my VISA & passport and get a darshan? 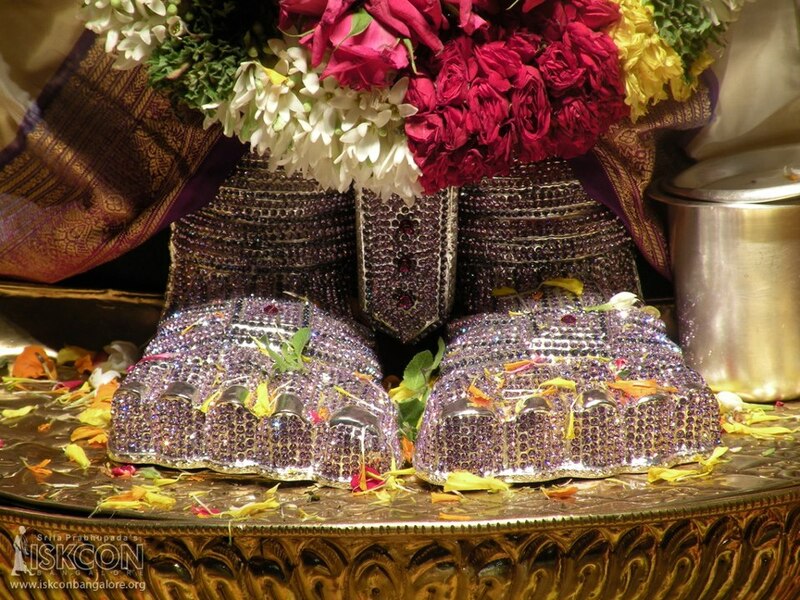 I will be coming to India on 24-May-14(it is Saturday), and planning to have Darshan on that day. As may is peak season do they change timings for NRI's darshan or will it be same timings from(11:00Am to 5:00Pm). Thanks in advance. MNV Sravan, I am also getting the same error. Were you able to register successfully? What was the issue? For whom getting "Incorrect text" error should be a problem with browser. Please make sure Captha text is displaying while registration and install adobe and java, if required. How much is the entry for Supadham darshan and where are the tickets available for this ? above query is for infant entry ? I ma getting the same error incorrect text. Can you please assist. Do we need any documents for proof like birth ceritificate for infant entry? Recently I had darshan using Supatham route and showing my foreign passport. I have observed following. 1. Foreign passport holders are allowed from 11 am to 5 pm from this entrance, you have to show your individual passports. Once you are in they will check your passport and make a note of it. Then they will issue you with 300 rupees ticket towards darshan and two laddus and you will be joining the running queue for Darshan. Note: All of the piligrims should have individual foreign passports to go through this entrance. 2. I have also observed during this time entrance for parents who has infants, the authorities here will check the child and come to conclusion about the age of child. They are not checking for any documentation. Both father, mother and infant child and also any other child less than 16 would be allowed to gain entrance. Myself, wife and two kids went through the supadham entry, it took 1 hr 35 mins for making the dharshan (in time 1.15pm outtime 2.50pm). but it took 3 hrs for collecting the laddu from the counters. Passport with visa page is verified at the entry point. How many people (Max) are allowed with infant thru Supadham entrance? I availed the NRI darshan on 8 Feb 2015. It took around 2hrs. 1.Enter through Supadham entrance by specifying NRI darshan to the security. 2.Collect the application forms at the check point. 4.The officials verify the Indian immigration entry stamping, visa in passport and sign the form. 5. Submit the form in the counter and pay Rs.300/- per pilgrim that includes 2 free laddu coupon. 6.Obtain the receipt and join the main queue line that leads to darshan. 7.Collect laddus at 1st floor of laddu counter. Did you join the sarvadarshan queue or sparate line for NRIs? Do they still pull people inside the temple? Its been a while (more than 15 yrs) since I been to tirumal. How much time would a special entry darshan and laddu collection would take ? I have a 11 am slot booked. how much shd an nri pay for dharshan and how many persons can accompany an nri? Hi..Can you please let me know if both the parents are allowed with the infant ? Can you please mention the timings also. Both the parents can go with this entry. And the timings are 8:30am to 12:30pm. I replied to all queries before but my comments were not published. Once again I am posting the response. -Supadham entrance starts near Vijaya Bank at queue complex. -Only NRI's with valid passport and visa are allowed for NRI darshan. So, I don't think they allow anyone else to accompany. -Both parents and brothers ,sisters of infant are allowed for infant special darshan. The timings are same as NRI (I think its 11am to 5pm). Does anyone know if the 3-tiered darshan system which was introduced last year still exists or removed? Yes mam we have to book the seva ticket for 16 years old child. Thanks all for the wonderful replies, this gives us a lot of info..
We travelling to tpty next week for an infant darshan so wil go with the above timings and id proofs mentioned.. thnx..
That is a different entry and infant entry as different. Its not possible to go with them. Do we need to submit photo copy of passport and NRI Visa at entrance? No sir don't require. By showing the Original passport and valid visa u people can go for darshan, they will return back to u documents. Don't require the xerox copy of all those things. What is the Timings for infant darshan on July 2015? And how much time it takes usually to complete darshan? I went this weekend with my wife and one infant(11 months) on July 18th and Timing was 8.30 AM for queue. And there no one asked for any ID card of any one out of we three......... It took almost 2 hours for darshan and came out. hi, we have booked for vasanthotsavam for us ( 2 tickets for me n my husband)..do we need to take seperate ticket for our 7 yr old kid? 1. I am NRI, I don't have Indian Credit Card to book entry so how to book for accomodation? 2. For NRI's I see we can show the passport and visa we can get entry but what about accomodation in Tirumalla? I have US passport and OCI. Will I be allowed to enter through NRI entry. If we are having passport and Valid visa we can go for this entry. I am not sure what is OCI, if u people are having green card you can go for this entry of darshan. HI I AM GOING TO TIRUPATHI ON21ST OF THIS MONTH I AM HAVING 10 MONHS KID SHOULD I CARRIE HIS DATE OF BIRTH CIRTIFICATE FOR SUPADHA ENTRY. Yes sir bring the birthday certificate and Aadhar card of the parents, u will have darshan on that day. Morning 7Am to eveng 7Pm it will be open.One should carry original passport copy.Need to fill small form.